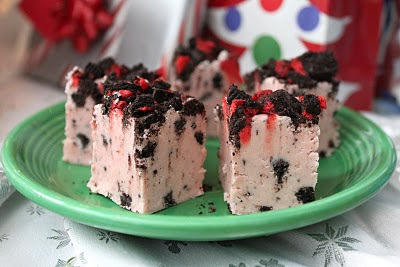 As I mentioned in my earlier post, I really wanted to test my skills at fudge this December. This was the second batch I attempted and it turned out great...if you like white chocolate. Neither Zack or I are really white chocolate people so it is not our favorite, but others have given it rave reviews. I used the red Holiday Oreos to get it an extra special touch. 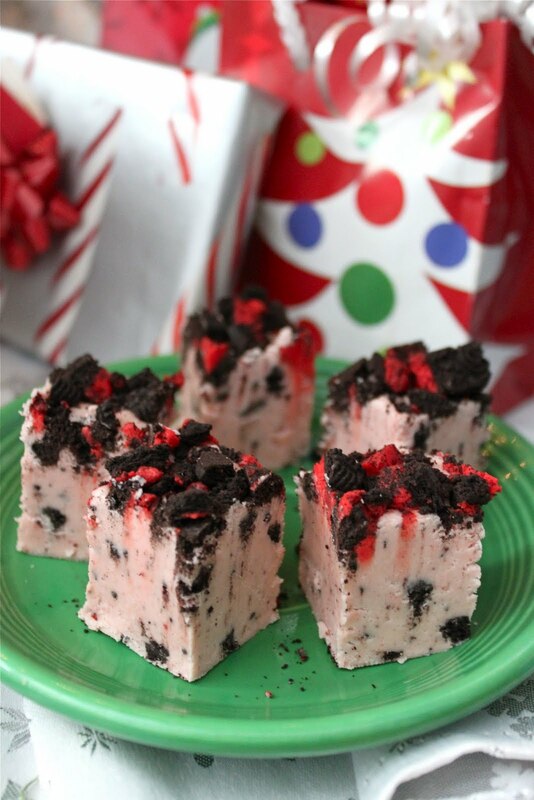 Since the fudge turned pink it would really be great for Valentine's Day if you can keep Oreos in your house for that long! This is definitely something different that will look great in Christmas tins. Line a 9-inch-square baking pan with foil. Stir in white chocolate chips, marshmallow crème, finely crushed cookies and vanilla extract. Pour into prepared pan. Sprinkle crumbled cookies on top. Refrigerate for 1 hour or until firm. Lift from pan; remove foil. Cut into 48 pieces. Store in airtight container in refrigerator.